If you stop to think about the sky above us, you probably think it is a large, empty space. While that was largely true more than a century ago, now is it filled with all sorts of flying devices. Thousands of commercial planes soar through the blue sky at any given moment, and more are taking off year after year. To accommodate this increase in air travel, airports need to build more runways and organize their takeoffs and landings very precisely. But no matter how much planning goes into a takeoff schedule, something is bound to go wrong. And it did for one plane that wound up being delayed a whopping 45 minutes by something that no one had expected. Kristen Wiley was one of the frustrated passengers stuck on the delayed plane. There was a very good reason that her Alaska Airlines Flight 748 had not taken off on schedule. An elderly woman suffering from dementia was having an outburst. Kristen shared a photo on Facebook along with a description of what she was seeing. Because the woman was disoriented, she was uncomfortable. Kristen pitied her and shared her photo online to explain how this woman was going through the intense situation. In the photo, she also showed how the security guard, in the yellow vest, came onto the plane to help the old woman deal with her symptoms. 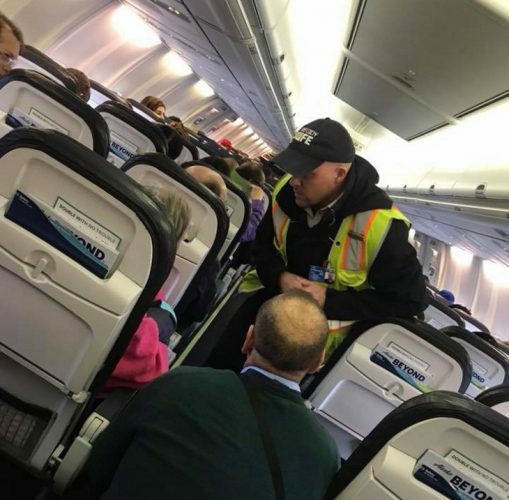 The guard crouched down in the aisle and went above and beyond to comfort the woman experiencing difficulty before takeoff. Kristen was one of the few who saw what happened. The woman with dementia clutched her emotional support dog as she navigated the confusing situation. Dementia can make it challenging for an individual to navigate daily life, and she must have been shocked to find herself suddenly in the tight space of the coach-class airplane. Alaska Airlines did not resort to tactics other airlines might have. They did not drag the woman from the plane because she was being uncooperative. Instead, they used compassion and empathy to handle the situation and find another way to get through it so the pilot could take off. Although Kristen was frustrated that her flight was late, her heart was warmed when she saw how the flight crew handled the woman’s challenge. 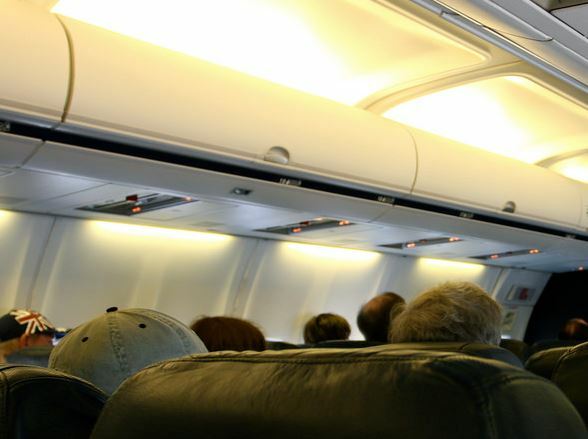 What do you think about the way Alaska Airlines handled this difficult situation?